Keeping snack-time real. 4 oz. So close you can almost taste it. People come from all over Texas – and elsewhere – when the sweet, juicy peaches of Parker County are in season. 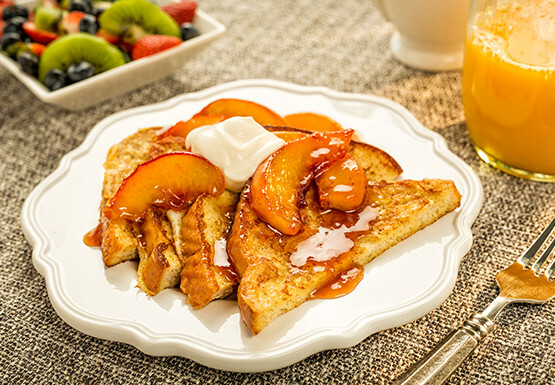 If you can’t get your hands on the real deal, substitute frozen peaches. 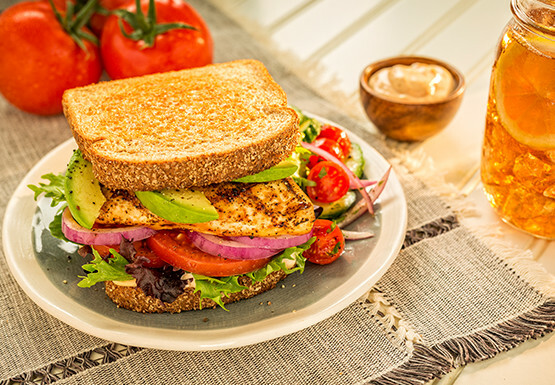 Everything’s bigger in Texas, and that includes the flavors of this grilled chicken sandwich. Take basic to the next level with the addition of chipotle mayonnaise and avocado slices.